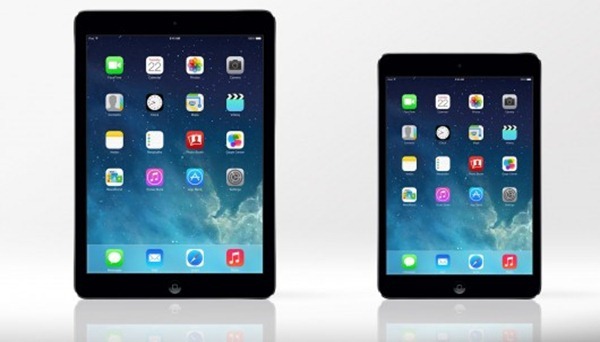 The iPad Air, like most other Apple products, has been one among the major launches that have taken place this year. However, unlike previously, Indian fortunately will not have to wait long before they are able to lay their hands on one. The device is expected to be available in the country starting December 7th. Another device that has huge following in India is the iPad mini, the second iteration of which will also hit shelves alongside the iPad Air on the same day. The iPad Air comes with a 2048 x 1536 pixel 9.7 inch screen, a powerful Apple A7 chipset and a PowerVR G6430 graphics processor. Although the device has only 1GB of RAM, the iOS operating system uses it very efficiently and provides for a good multitasking experience. Among other highlights of the device, a major attraction is its minimal thickness, which at just 7.5mm makes it among the thinner tablets in the world. On the other hand, the iPad mini Retina or the iPad mini 2 is the second coming of the original small-screen iPad, the mini which was released last year. The device now has a high pixel density retina screen along with the same, powerful Apple A7 chipset found on the iPad Air, but minus the large size. The iPad mini design received accolades from all over the world for it’s size : usability ratio, and now the 2nd iteration will hope to take this legacy forward. Ingram Micro will be distributing the devices in the country. iPad Air will be available in Space Gray and Silver colours along with a price tag of 35,900 INR, while the iPad mini Retina will be priced at 28,900 INR. Both devices will be available starting December 7.